The Chicago Bears come to Raymond James Stadium on Sunday to face the Tampa Bay Buccaneers in week two NFC action. Tampa saw their 2017 regular season debut postponed, as their game against Miami was postponed to week 11 due to Hurricane Irma. After a 9-7 season which included a 1-3 start, Tampa and second-year coach Dirk Koetter were ready to roll, but had to instead push back their start a week against a Bears team that gave the defending conference champion Falcons a real run for their money in week one, covering the spread in a 23-17 loss. They look to spoil Tampa's 2017 regular season debut this week. The Bucs wasn't that far off last season and things have lined up well for them to make a move in 2017. Jameis Winston has developed into a good quarterback, despite early signs that he was going to have a lot of problems. He's a really positive force and already a leader in just his third season. The team added receiver DeSean Jackson to the offense, which could be a key to go along with a growing force at WR in Mike Evans. The Bucs look to be really strong at tight end, with Cameron Brate and his 8 TD catches returning along with what looks to be a real player in TE OJ Howard, a first-round draft pick. The one issue seems to be with their ground-game. With Doug Martin having become erratic and facing a suspension to begin the season, they could really use a push from rookie Jeremy McNichols. Backs Peyton Barber and Charles Sims are also available. The Bucs' front-office didn't make life easy on defensive coordinator Mike Smith, adding only DE Chris Baker among their meaningful moves on this side of the ball. And he will help the line, especially if Noah Spence comes around. Gerald McCoy is a real force in the middle when right. Kwon Alexander and Lavonte David are strong forces in the middle. The secondary doesn't appear to be one of the top units in the conference. Adding a good rookie safety in Justin Evans could help. And signing TJ Ward after he was dumped by Denver could pay off, as well. But other guys have to be better than last season, especially against the better quarterbacks they will face this season. For the purposes of this game, you have a high-energy group in the Buccaneers, who have a lot of youth and optimism. Granted, enduring the prospects of a hurricane isn't a restful experience and having to play 16 straight games without a break could hurt them later in the season. And facing a team that played just one game doesn't give them an advantage in energy. At the same time, having to hold themselves back and now at home could lead to the Buccaneers being even a bigger handful in this spot. There were some positive takeaways for a Bears team that is just trying to get on the road to respectability. They kept Atlanta in relative check. For all of Atlanta's weapons, to yield only 23 points and be in the game right up until the very end is a moral victory for the Bears. Offensively, they were off the mark and not very clutch, especially late when they were looking at first down inside the Falcons' 5-yard line in the game's final minute and came away empty-handed. Mike Glennon was decent in his Chicago debut, not great, but not horrible. He was 26-for-40 for 213 yards, along with a TD and no picks. But he lacked a dash of palpable magic. One thing helping this offense is the front office's knack for finding diamond-in-the-rough running backs. Last season it was Jordan Howard and now Tarik Cohen looks like the latest find, He caught 8 balls and a touchdown and ran for 66 yards on just 5 carries. Howard had 52 yards and a touchdown and a burgeoning ground game could do wonders while they work out the aerial game, now without top contributor Alshon Jeffery. Former number-seven pick Kevin White was limping off the field and is out indefinitely again, as it looks like injuries will always loom for the talented receiver. With dicey QB play and an aerial attack devoid of star-power, the Chicago offense will get what they can this season. That lack of go-to playmaking cost them the win in their season opener. Again, the Chicago defense did a good job overall in keeping the Atlanta offense in check. In the middle, Marcus Cooper and Leonard Floyd were effective, with Akiem Nicks getting two sacks on Matt Ryan. The secondary could be an asset with Kyle Fuller and Marcus Cooper at the corners and Eddie Jackson and Quintin Demps at safety. They gave up some big plays, but also held the Atlanta receivers to relatively little yardage. It's never redundant to remind ourselves about the week one fallacy of taking opinions and takes and etching them in concrete. While it's more than just any old game, week one is in effect a one-game window. Still, Chicago showed that things could get better or at the very least, they will compete better this season. But this has some earmarks of being a tough spot. They don't make it down to Florida an awful lot and when they do this week, they're likely to be facing a revved-up Tampa bunch. We see Tampa pulling away for the cover. 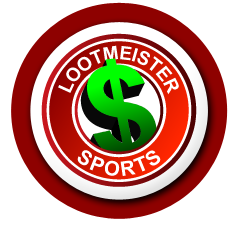 Loot's Prediction to Cover the Point Spread: I'm betting on the Tampa Bay Buccaneers minus 6 points. Tired of your credit card not working for sportsbook deposit? End that problem today and bet on the Bears vs. Buccaneers from the comfort of home by signing up at Bovada Sportsbook where your credit card WILL work and where you'll receive a generous 100% sign-up bonus!